When a new smartphone hits the market, it is often necessary to compare the screen, performance and camera against those of the previous model. In the case of HTC One M9 is a little different since the range of Taiwan offers a criterion more with its speakers BoomSound that are systematically improved from generation to generation. 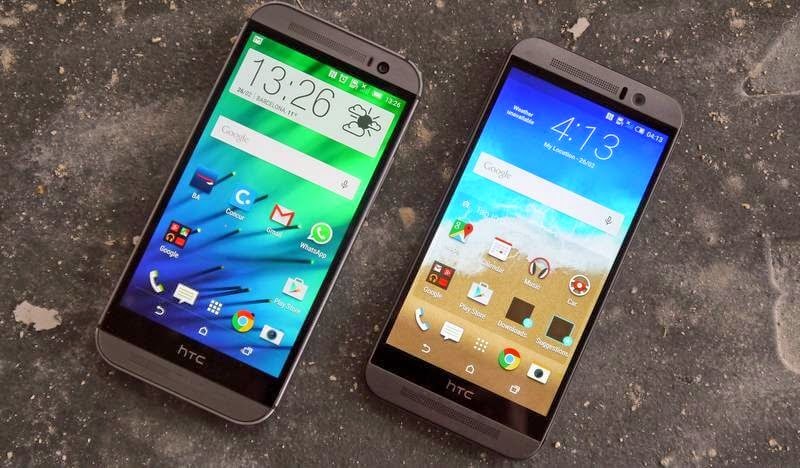 While the show closed its doors last night, the US site PhoneArena has had time to make a speaker comparative BoomSound the HTC One M9 against those of the HTC One M8, live from MWC 2015. What better understand the Improvements in the audio portion of the telephone. To compare the performance speakers BoomSound the two phones, the author of the test listened to the same song at full volume in an isolated room. The test, of course, was filmed and you can find it at end of article. To get a feeling for any differences, we advise you to watch the video with headphones. As you might expect, the differences are more difficult to identify than a comparative test photo sensors. Especially the sound offered by the speakers of HTC One M8 is already proving excellent. In terms of power, both phones seem to provide substantially the same. However, the sound frequencies appear slightly different from one model to another. In both cases, the quality is excellent and this is what is most interesting. With BoomSound technology, inaugurated in 2013 by the M7, HTC has built its smartphones to the next level of competition, in terms of the audio and the HTC One M9 looks set to be one of the best in this field.